Dan Colley is a director, dramaturg and programmer from Dublin. 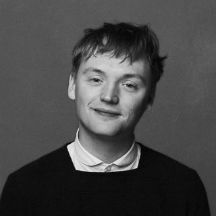 As Director of Collapsing Horse Theatre he has directed The Water Orchard (with Eoghan Quinn, co-produced by Project Arts Centre) The Aeneid, Bears in Space, Conor: at the end of the Universe, Human Child, Distance from the Event and Monster/Clock. With Collapsing Horse, Dan is Theatre Artist in Residence in Draíocht and co-Artistic Director of Kilkenny Cat Laughs Festival. As a dramaturg Dan has worked with Macnas, Dublin Fringe Festival, WillFredd and Sugarglass Theatre among others. Dan has a degree in English and Philosophy from NUI Galway and studied Youth Theatre Facilitation with Youth Theatre Ireland. Dan was a recipient of the Next Generation Bursary in 2016. The Rights Museum is a participatory art project that attempts to allow our objects to tell our story through the medium of a museum. Its subject is the lives of students in Larkin Community College and how the rights enshrined in the UNCRC intersect with their actual lived experience. Or don’t. In my last blog post I detailed how I worked with a group of first year CSPE students and asked them to invest in the stories behind their rights – and learn about their rights in reality. In our next session, I presented a simple everyday object to the group – I used a shoe. I like to gather the participants around the object in a circle. First I asked them to make objective observations: what can we say for certain just by looking at it? For example; “it’s a shoe”, “it’s got white laces”, “it’s black” “there’s dirt on it”. I kept this going, correcting them if they brought in any subjective observations (eg. “They look like they’ve been used to go running” or “They’re ugly”). Keep it to the facts that you can tell just by looking. Once I’d just about exhausted this, I asked them to make subjective observations. I prompted them; who might have owned these shoes? What might they have used them for? Did they value them? And with each answer, I asked them to support their claim with evidence that they can see. Then I placed the shoes on a raised platform (I used a bin but asked them to imagine it was a plinth in a museum!) and I asked them if that changed the way they saw it? Did it make it seem more important? Why? What could possibly be so important about this pair of shoes that they would be in a museum? I asked them to imagine that there was a label on it that said “Plastic and canvas shoes. Shoe size 5. 2017. Syria.” and then I asked them what they thought of them then. What would they think about the story of these shoes and who wore them? I put the shoes away and then put another object on our “plinth”. This one was of personal importance to me – a pair of cufflinks displayed in their box. But I didn’t tell the participants anything about them yet. Again I asked them to make objective observations, then subjective observations (“is this important to the owner? Why do you say that?” “Are these expensive? Why do you say that?” “When were they made?” etc.) I then told them what they were, the story behind them and why they were important to me. Then I asked them all to bring in an object that was important to them, look at their UNHCR which we’d been working on, and relate what was important to them about the object back to an article in the charter. Now we were facing the task of putting together an exhibition in the National Museum of Ireland at Collins Barracks. Our questions for this were; how do we represent the work and the participants’ learning in that space for members of the public to see? And how do we invite the public to actively engage with the ideas within it? We decided to keep it simple; we photographed all the participants with their chosen object and asked them why it was important to them and what right(s) it related to. We then got Sarah Moloney, a graphic designer (although this could have been done by me or someone who had time to learn Photoshop) to lay out the photographs with quotations from the students laid over the image, along with the text from the UNCRC that were relevant. Each of these was printed on A2 card and was displayed on the walls of the exhibitions space. This allowed all of the students who had taken part to be represented in the exhibition. There were three large windows in the space; the middle one we printed the text of the UNCRC and on the two sides windows we wrote “What would be in your Rights Museum?” and invited the public to write on the windows in liquid chalk pens which we provided. This allowed the public to actively engage in the ideas that the Right Museum was provoking. The Museum kindly lent us a display case, for which I chose eight objects that were representative of the whole group, to be displayed for the duration of the exhibition. This was the centre piece of the Rights Museum and showed the seemingly everyday objects, contributed by young citizens, enjoying the prestige and equal importance that is given to the treasured objects in the National Museum’s collection. The power of this statement seemed to resonate with those we told about it and we had an enthusiastic response to our invitation to the opening of the exhibition. The opening was attended by the Minister for Education Richard Bruton, Director of the National Museum Raghnall Ó Floinn and the Ombudsman for Children Niall Muldoon, as well as national media including RTE news and the Irish Times. Two students from Larkin Community College, Ciarán Hayden and Isabella Anthony, spoke about their experience of the process at the podium, alongside the Minister, Director, and Ombudsman for Children. A number of students led guided interpretive tours of the exhibition for our guests. I’d count among the Rights Museums successes; the way that it was able to facilitate learning about children’s rights in an active and personal way, that it succeeded in placing, on equal footing, the objects and stories of the young people alongside the artefacts of the National Museum, and the wide reach that the Rights Museum had to the public, through the media and from those who visited it. 1. That artists have a different approach to working that the students can benefit from that perspective. The artists way is often a more circuitous, process and enquiry based approach than students are used to in mainstream education. It’s one that’s comfortable with the state of ambiguity you find yourself in while you’re working, one that allows one to say “I don’t know what this is yet” and for that not to be a bad thing. That’s not to say artists are the only people who can demonstrate that way of working, but it is something that artists can do because of the way many of us work. 2. That as an artist working in a school, it’s important that that’s what I remain – an artist. My job is to be an artist, not an Art or CSPE teacher or anything else. The job is artist and that has value. 3. That the framing of work by young people has a profound impact on how it’s perceived by people, but most importantly themselves. The way their work (whether it be a copy book, or a sculpture or a story told in class) is handled by the people in the world around them, subconsciously tells them something about it’s value. And my feeling is there is a huge artistic and social potential in subverting expectations of that value – as we did in small way by displaying “ordinary” objects in a museum. The Ombudsman for Children’s Office has commissioned an education pack that features a guide on how to create your own rights museum in your school or community, and it will be available from their website in the autumn 2018 term. If I may, I’d like to thank the Arts in Education portal for offering me this chance to share the process; Rebecca Mclaughlin and Niall Muldoon in the OCO for their support and vision in making this happen; Helen Beaumont and Lorraine Cormer in the National Museum’s Education Department for all that they did in hosting the exhibition, giving it a platform and providing expert facilitation on museum curation to the students; Richard Bruton for officially opening the exhibition; the students at Larkin Community College, and staff Siobhán Mckenzie, Declan Quinn, Emma O’Reilly, and Principal Thomas Usher. In particular I would like to thank Assistant Principal Máire O’Higgins, without whose drive, vision and passion for education and art, this wouldn’t have started and would have fallen at the first hurdle.